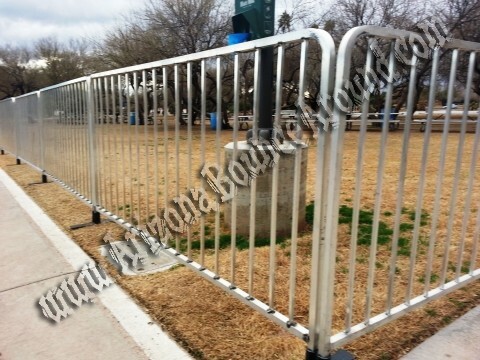 Our aluminum fence panels are 7 feet long and 42" tall and do not require staking into the ground. Our temporary fence has flat legs that support the fence at the base. 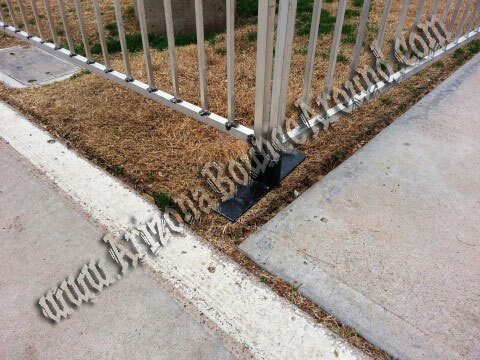 We also rent gates that attach to our aluminum fence. Our fence rents for $14 per panel or $2 per foot for easy calculation and this price does not include set up and take down. Delivery and Pickup charges may apply so call for details. Special rates for multiple day or long term fence rentals available. Scroll down for more photos of our rental fence. The temporary fence rental price includes standard set up if they are being delivered with a inflatable(s), carnival rides or other large rental items. If you are renting the fence only than delivery and pick up is not included in the rental price. 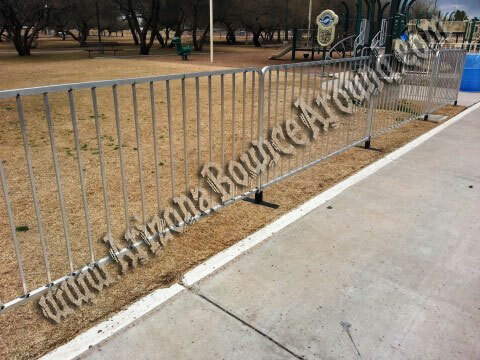 You may also pick up the temporary fence from our Denver location and set it up yourself and save money. We also rent light towers, generator rentals and portable restrooms to complete your event rental needs so call, click or come by today to have one of our party planners help plan your next event.